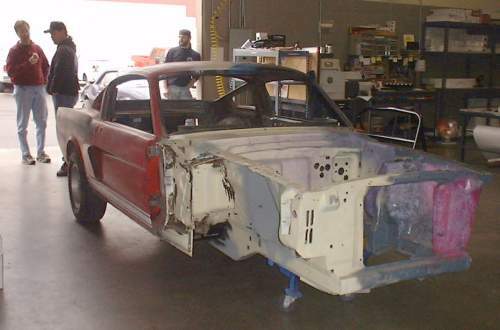 We started with the body of a 1965 Fastback. 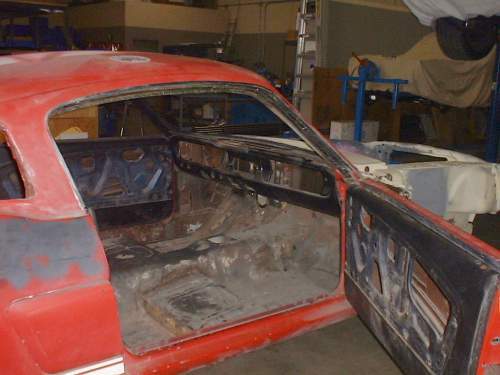 The car was in decent condition with the exception of a patched floor panel and some minor rust. Overall, a good starting point for our project. Our first step was to send the shell out for sand blasting. Now we can really see what this car has been through in the past. We found that the right rear quarter panel had been damaged previously, but was repaired properly (zero Bondo). Straight metal and sanding scratches were all we found. Now the fun begins. We started by eliminating any extra weight in the body that we found unnecessary. 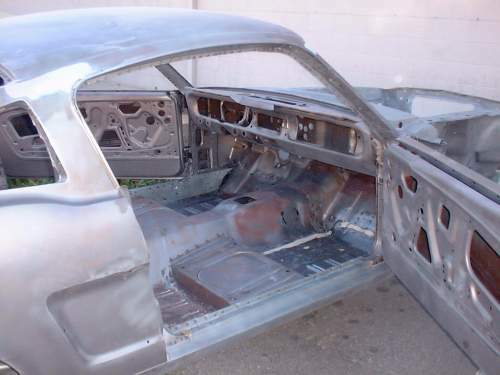 This would include the dash, the inside door panels, driprails, and any extra mounting tabs. The dash was removed in order to make use of this wasted space. This gives us more leg room (major safety benefit) and makes it much easier when the time comes for mounting the instrument console and pedal assembly. 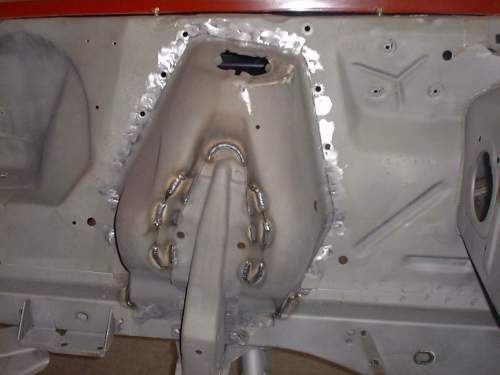 The next step was reinforcing the factory welds at key points of the chassis. Stronger joints and seams make for a rigid chassis. Our Subframe Connectors, which we will install later, will also help in making our chassis rock solid. This will pay off immensely during cornering.